- CNC machined oil filler cap with aluminum oil dipstick. - Includes safety wire holes. 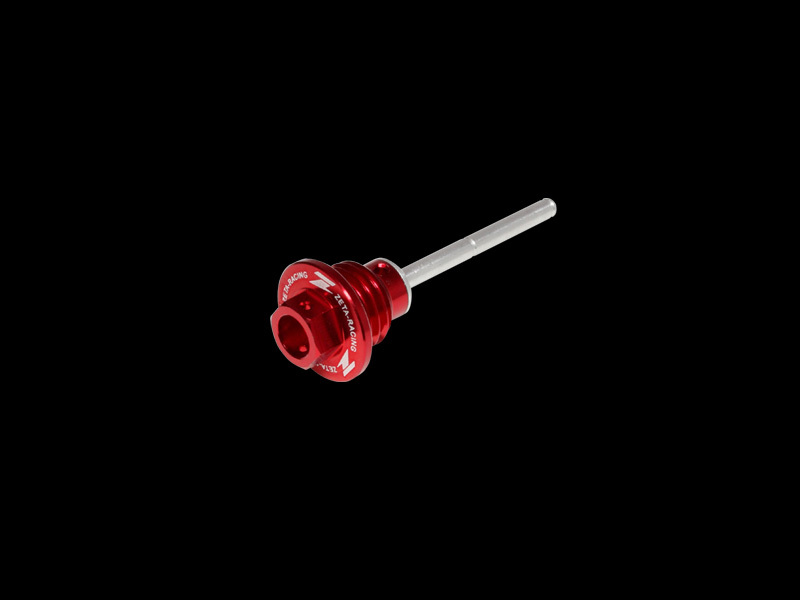 - Available in anodized colors of red.